Much of the best fly fishing in our amazing country exists in the tropical regions of the north, and now Rio have provided the perfect fly line for tropical climates. 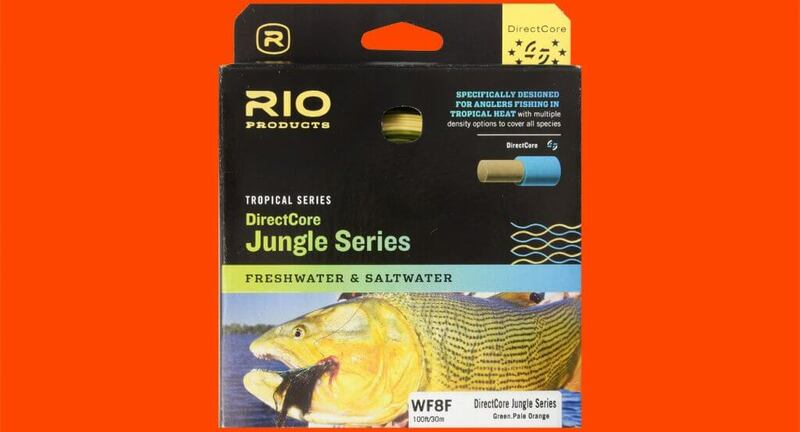 Rio’s Jungle Series of fly lines are designed to withstand the heat of tropical jungle destinations. Each line is built on Rio’s low-memory DirectCore that is extremely easy to anneal (stretch) and lies perfectly straight on the water, yet retains the stiffness needed to cast on hot conditions. Each line has a short, quick-loading head that will easily cast and turnover typical large flies used in the tropics, and a range of density options ensures anglers are covered for all species, conditions and waters. So next time you’re headed north in search of a tropical fly fishing fix, or even overseas to a typically humid fly fishing Mecca, be sure to load up your reels with something that’s up for the job – Rio’s got your back!